What is Tarot and how may it be of benefit to you? The Tarot is a powerful tool for gaining insight into your self and your life. 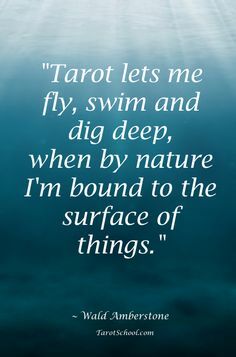 As with many techniques that are used for self-improvement, the Tarot has many benefits. While it can do quite a lot for you, it cannot solve your problems, and it is not designed to make decisions for you or tell you what to do. 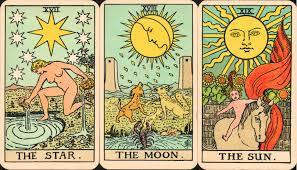 A Tarot reading is like a snapshot of what your life looks like at the time of the reading. The cards tune into your energy to give you a picture of unseen influences, patterns of behaviour, obstacles, and strengths. While the Tarot gives suggested actions to take and a likely outcome if you take them, it does not predict the future. The future is not a static or unchangeable thing. You make choices and decisions each moment of your life, whether or not you are conscious of them. The gift of free will allows each person the ability to create the future he or she wants. With the insight gained through a Tarot reading, you will be better equipped to make decisions and take action that is in line with your authentic self. The Tarot helps you to take responsibility for the life you have created. It offers guidance and empowerment to make the changes you want to make. A reading invites you to take an honest look at your situation, and can give you key information that will help you create the life and future of your choosing. Crossroads in life are where we grow, and the tarot will not take that experience away from you. While advice is given, no one should make important decisions or take big steps in life based only on a reading. In summary, you can gain insight into hidden factors of a problem, ideas about how to deal with your dilemma, and hope that you don’t have to remain “stuck” wherever you are. You can find answers to deeper questions that you weren’t even aware you wanted the answers to. You can receive spiritual guidance that will help you on your chosen path and you will be empowered to help yourself create a more satisfying and fulfilling life. Shanti Taleta has been reading tarot for over 20 years and she is now available for intuitive readings.